In recent years, eSports, video games played competitively by professional gamers, have seen a stratospheric growth in viewership and popularity, so much so, that it was prominently featured at the 2019 NAB Show which dedicated a huge space for its eSports Experience which included panels and tournaments dedicated to the global phenomenon. If American broadcasters have already embraced eSports with ESPN and Disney acquiring the rights to some of the most popular events, Canadian broadcasters seem to be reticent to a adopt eSports when Canada is the most eager territory when it comes to competitive gaming. Long gone are the days in which gaming was a fringe hobby; according to Reuters, the gaming industry is now bigger than the music and the movie industries combined but it also is the most profitable form of experiential entertainment. 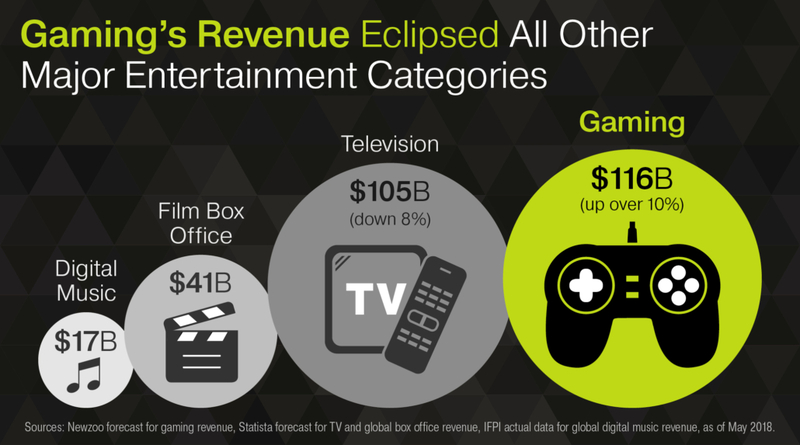 This explains why Canadian entertainment companies like Cineplex would acquire a competitive gaming platform and feature tournaments in its theaters chain or Lionsgate invest in an eSports franchise and create branded content around it. Gaming has become such a mainstream powerhouse that top streamers are getting paid in excess of a million dollar to promote a game by playing it for a couple of hours, eSports tournaments have prize pools of tens of millions of dollars, several pro teams have valuations over a $100 million dollars, and the International Olympic Committee is considering having eSports as a demonstration for the Paris 2024 Olympics. 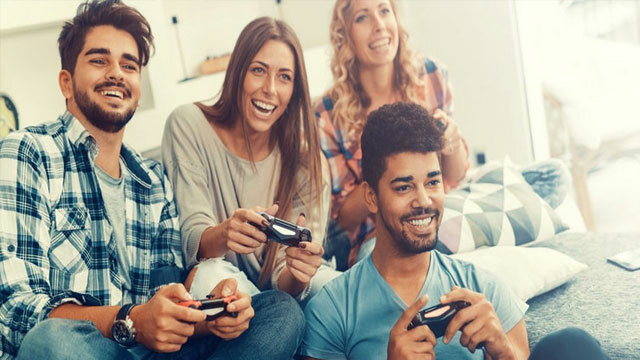 The average age of the Canadian gamer is 39 and according to the Entertainment Software Association of Canada, there is an even number of men and women composing the over 23 million Canadian gamers. If 80% of Canadians view video games as mainstream entertainment, over 70% of parents play together with their children at least once a week. Almost 2 of the 26.2 million people who watched The Game Awards 2018 were Canadians, the show which was live streamed on more than 40 different services worldwide but had no traditional broadcasting partner, garnered a Canadian audience superior to the Junos’. With such a large proportion of gamers in its population, it should come to no surprise that Canada has become a leader in hosting some of the biggest and most prestigious eSports tournaments in the world. In 2018, the great white North was host to The Dota 2 International Championship, the Get On My Level fighting tournament, and AdrenaLAN. For Canadian millennials, video games have replaced commercial radio and television when it comes to music discovery; a song featured in the soundtrack of a popular video game will be heard around the world a billion times. 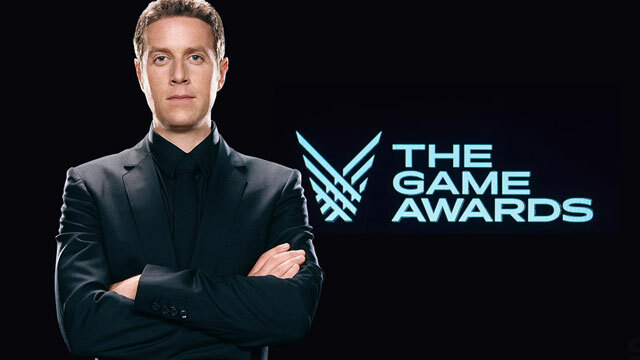 Canadian journalist Geoff Keighley is the force being The Game Awards which massive success only came after his vision could be realized without the massive compromises imposed by terrestrial broadcasters. The Dota 2 International 2018 was of the largest eSports tournaments with Rogers Arena 20,000 seats sold out for the 6 days of the competition and the final being watched online by over 15 million people. Canada is more than just a nation of people who enjoy playing video games, it is a country in which, according to the recent Mintel’s Attitudes Toward Gaming study, not only a quarter of Canadians have gone online to watch other play but one in five Canadian considers eSports as important as traditional sporting events. To bring this into perspective; the number of Canadians interested in eSports significantly exceeds the number of Canadians interested in the CFL. 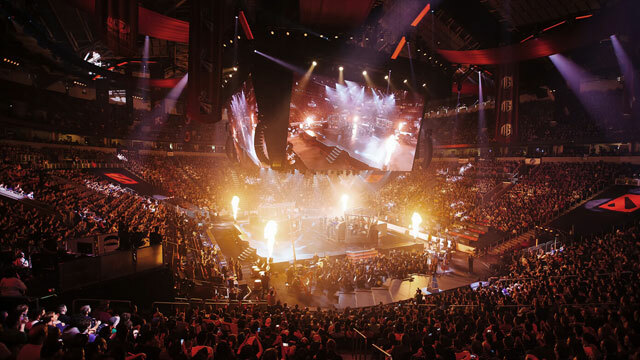 When Vancouver hosted The International Dota 2 Championship at Rogers Arena, tickets for all the matches of the competition were sold out in a matter of hours and as a result, BC tourism experienced a noticeable economic boost; the last sporting event generating this kind of palpable uplift in the lower mainland was the 2015 FIFA Women’s World Cup. From streamers to athletes, Canada has no shortage of gifted individuals who know how to grow a follower-ship and keep an audience engaged. Several Canadians like Shroud, Pokimane, and KittyPlays can be found at the top of the most influential Twitch streamers ladder and if eSports needed even more brand advocates world-famous Canadian artists like Drake and the Weeknd didn’t hesitate to follow Michael Jordan’s footsteps and become co-owners of eSports companies. Gaming properties have transcended from offbeat activities into mainstream lifestyle brands. Influencers showing their support for eSports is fantastic but having Canadian winning teams contributes even more to the appeal. 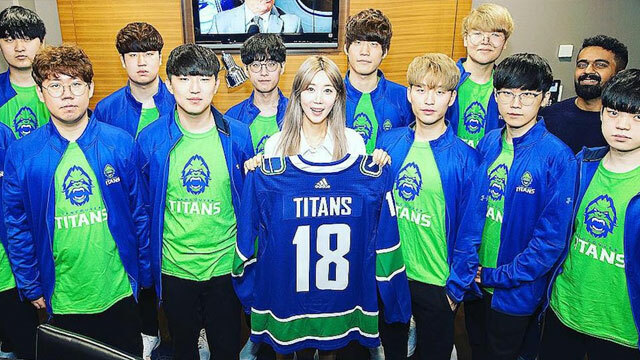 When the Canucks’ owners unveiled their eSports team at Rogers Arena, the Vancouver Titans, the expectations from local eSports fans were high and the team with the green and blue Sasquatch has yet to disappoint as it is currently sitting at the top of the Overwatch League which is no stranger to its skyrocketing popularity. 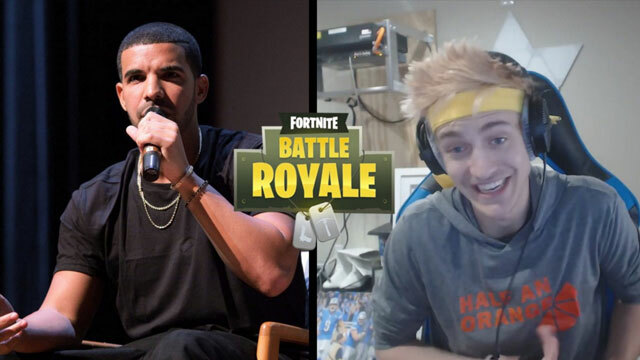 When Drake teamed up with Twitch’s top streamer, Ninja, a 26 year old who went from working at a fast food joint to making $500,000 a month playing video games, to play Fortnite, it set a new milestone for the platform. As one of the top Twitch streamers in both followers and average concurrent viewership, it is not surprising to see Moroccan Canadian Imane Anys aka Pokimane being the face of high-end and premium gaming products. In 2017 experts predicted that by 2020, eSports would grow to $1.5 billion in revenue; those estimates have to be regularly revised as the growth rate is exceeding the 40% estimation by a wide margin. So here is where we are right now: Canadian eSports fans are selling out arenas, filling movie theaters, and watching streams on online platforms in huge numbers but they cannot quench their thirst for information about their favorite Canadian team or eSport from Canadian broadcasters. Articles are written, video stories are produced but the Canadian coverage of eSports is still treating them as marginal hobby-based oddities rather than mainstream bonafide sports competitions which is what Canadians are seeking but are also given less coverage than traditional sports with smaller fandoms. This is why Canadian eSports fans have no alternative than turning to content created by other fans. Ready Set Pwn is a popular podcast dedicated to the Vancouver Titans, similar podcasts exist for other Canadian teams and some are dedicated to specific eSports; a large part of their success is due to the lack of competition. Canadian broadcasters are slowly warming up to eSports and some options are already available to them; Checkpoint XP, the only syndicated eSports radio program, is now running on TSN on all the top Canadian markets but the longer they wait to create content focusing on local Canadian teams and athletes, the tougher the competition will get: every passing day, online content creators are growing their audience and establishing themselves as the authority when it comes to the eSports community in their local markets. As the great Wayne Gretzky once said: “You miss 100% of the shots you don’t take.” The eSports puck is in front of Canadian broadcasters; it’s up to them to take the shot.